Grape Variety: 65% Garnacha, Mazuela / Cariñena 20%, Cabernet Sauvignon 15%. Harvest: The grapes were exlusively harvested by hand and stored in small cases of 15 kilograms capacity, the Garnacha grapes were harvested during the first week of October, the Cariñena y Cabernet Sauvignon grapes were harvested during the second week of October. Wine making: After crushing and destemming, the grapes were brought into stainless steel deposits for pre-fermentation in cold at 14 degrees Celsius for 3 days to accentuate the aromatic expression before proceeding to the fermentation. The alcoholic fermentation takes place at a temperature of maximum 26 degrees Celsius. The bleeding of the partially fermented must takes place after aproximately 10 days. A good maceration permits us to extract a good dosis of tannin structure as well as anthocyanins. The wine receives daily pigeage plus two remountings with a pump. Ageing: About 20% of the wine is aged for 8 months in wooden barrels and then mixed with the other 80% of the wine. Subsequent aging in stainless steel deposits before bottling. Total Tartaric Acidity: 6.20 gr/l. 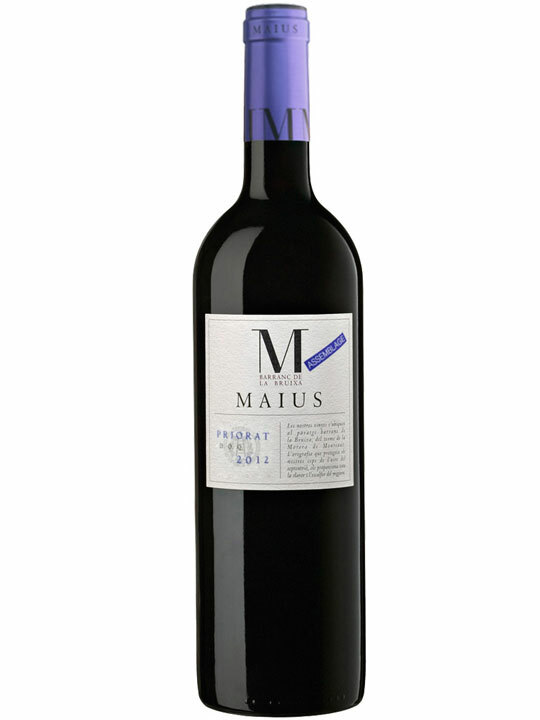 Color: Maius Assemblage Vintage 2009 is a wine with good depth, a brilliant surface, a cherry red color with blue tones denoting the complexity of the mixture. Nose: The smell of ripe red fruit stands out together with the sublety of Wood, species and toasts contributed by the part of the wine that has aged in wood. Denoting the origin of the wine, balsamic and minerals touches are also present. Palate: The wine provides an elegant entry, with well-integrated tannins and a long and persistent aftertaste.